Homedesign.com.sg: What to Consider When Choosing a Wrought Iron Staircase Design? What to Consider When Choosing a Wrought Iron Staircase Design? Singapore home owners know the value of keeping with current design trends. This is because home buyers in Singapore are very stylish and picky as well. When it comes to choosing a perfect staircase material wrought iron is the best. This is due to the versatile designs that wrought iron avails. However, different home owners value specific designs. It is therefore important that you select a design you will never regret. Below are tips to help you choose the best wrought iron staircase design. As much as your guests need to feel at home, your interests should come first. If you succeed in choosing a design you love then others will love it as well. A wrought iron staircase for instance depends a lot on your judgment. For instance you will want to get a design that matches the color, space and entire house design. Style is still of utmost importance and that is why interior designers are many in Singapore. If you opt for an ultra-modern staircase ensure it matches your home décor. If you have no idea of what suits your premises, then go online, browse through wrought iron staircase idea and designs. This will give you a glimpse of what wrought iron staircases look like. It is important to have some basic knowledge before you start talking to manufacturers. Wrought iron can be molded into numerous shapes and forms. Visit various manufacturers across Singapore and look at what they offer. You may find many designs that match what you love. On the other hand you might get numerous designs but none matches your taste. Do not choose any style because you have no option, wrought iron can be custom made to suit your taste. Also, understand the implications that come with several designs in terms of maintenance and other extra accessories. Space is a core element of design. Various designs suit different spaces. If you choose a set of staircases that require big space and your space is small, the design will look awful. Spiral wrought iron stair cases are good for indoor stairs. Also if you consider installing the staircase where it will be exposed to water, ensure the iron is well painted. Safety is important whether you are installing staircases for a home or business premises. If you have kids at home then select simple, low and wide wrought iron staircases. It is very easy for children to fall off very steep and narrow staircases. Also, wrought iron can be polished to look very shiny, slippery and delicate. Ensure you control this as it might endanger the lives of adults as well. This is why wrought iron can be tailor made, so do not settle for anything dangerous. Safety also has to do with where you install the staircase in your home. Choose an area guarded by a well and fix very strong rails, this way an accident cannot be fatal. Singapore has local building codes, follow these before you install the stair cases. Before you ask a manufacturer to install you a staircase consider the costs involved. Designs have different prices based on the complexity or simplicity of the design. Some manufacturers may decide to exploit you if they consider you have no idea of the prevailing rates. Note that true wrought iron is very expensive and much scarce these days. However, certain techniques have been developed to mold iron to match the beauty and elegance of wrought iron. As such you will come across decorative stainless steel that is labeled as wrought iron. If you are lucky to get pure wrought iron then ensure you are not over charged. Wrought iron normally has wood like grains due to the heat it undergoes. As such learn to differentiate between cast iron, wrought iron and any other metal. 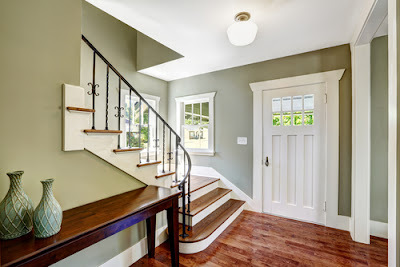 Get at least three quotations from different manufacturers of the same staircase design. Compare the costs and select the best based on the quality of work the manufacturer offers. Note that wrought iron is easy to paint, rust resilient and most importantly durable. There is therefore no doubt about its suitability for stair rails. By selecting a wrought iron staircase you get a strong, elegant and attractive stairs which bring a sense of luxury to your home. The choice of staircase whether curved, straight or switch back will be determined by the finances and the space set aside for installation.